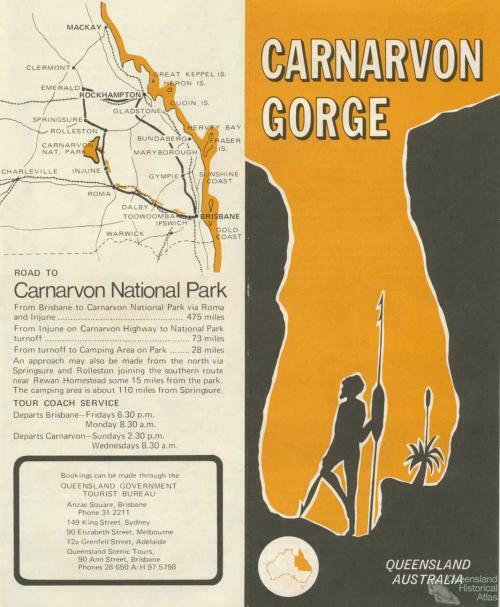 Discover Queensland, c1959. 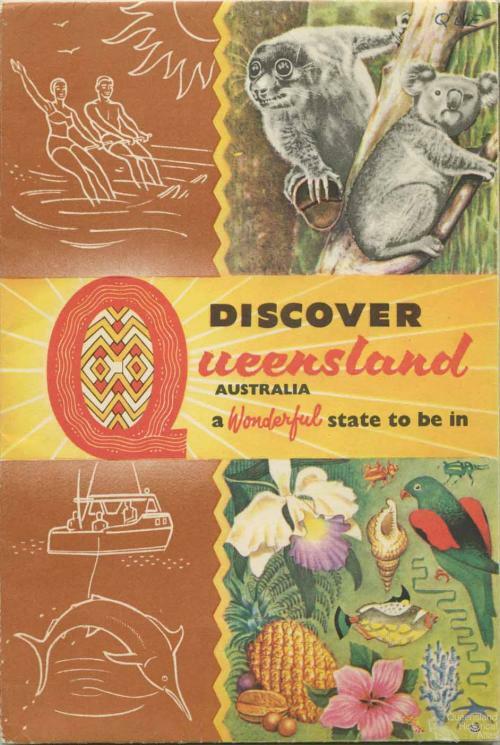 A mix of Australiana, appropriated Aboriginal design and some specifically Queensland related images emerge. 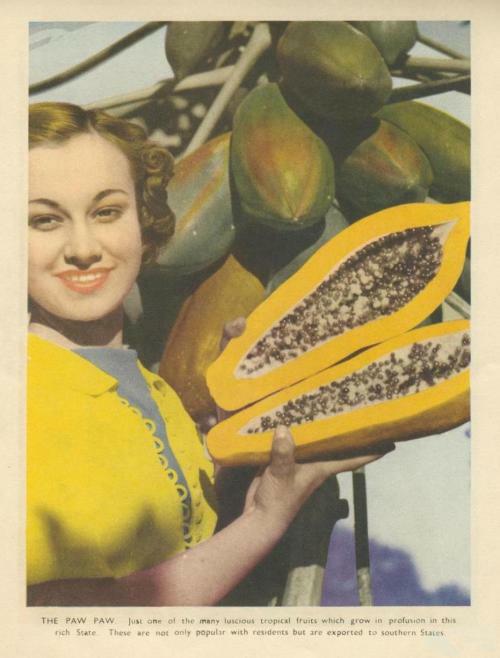 Paw paw and sunshine, 1950. ‘The paw paw. Just one of the many luscious tropical fruits which grow in profusion in this rich State.